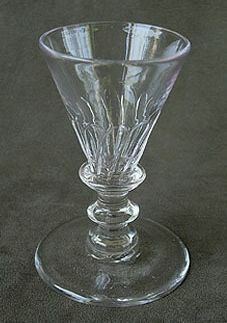 This free-blown conical shaped wine glass with gadrooned bowl stands 4-1/2″ tall. 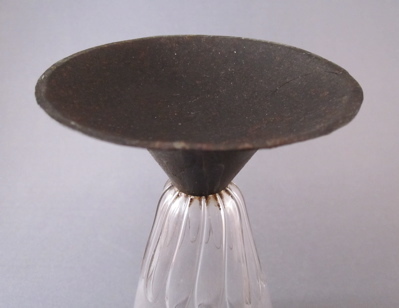 I believe it to be of European origin and made in the late 1700s. 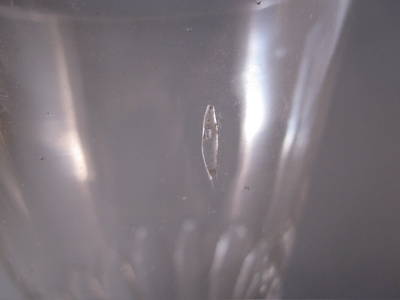 I especially like the lozenge shaped glass bubble “imperfection” on the side, which looks like a microscopic organism. 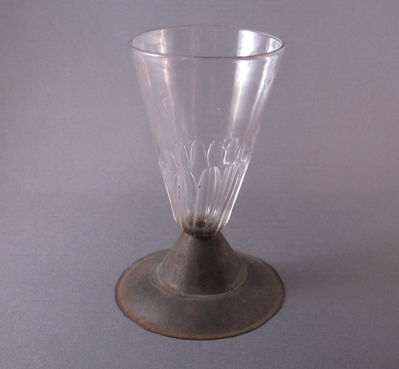 A crafty tinsmith transformed this goblet in to a tumbler, after the stem and foot snapped off sometime during its early life. 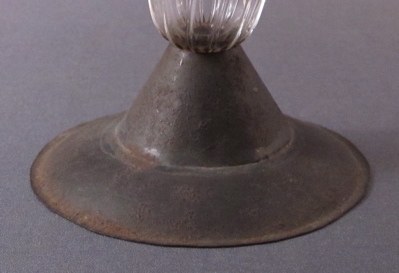 A “witches hat” style tin replacement foot with concave bottom measures 3″ in diameter. 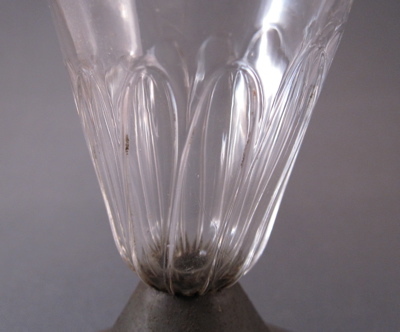 This unaltered goblet with the same design still maintains its original double knob stem.